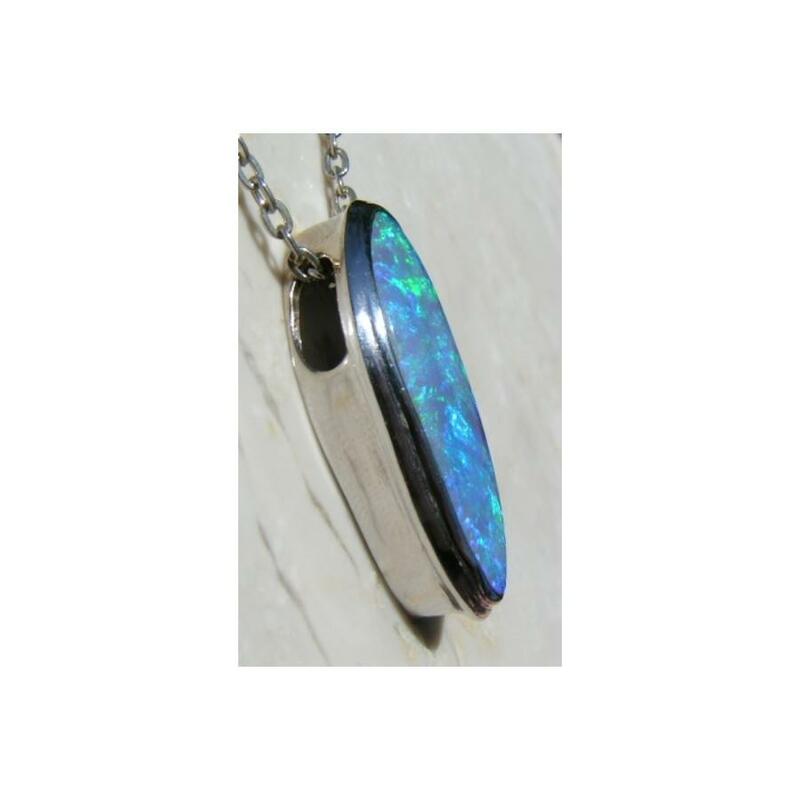 An Opal pendant in 18k White Gold that features a long free form Black Crystal Opal with beautiful shades of Blue and Green. 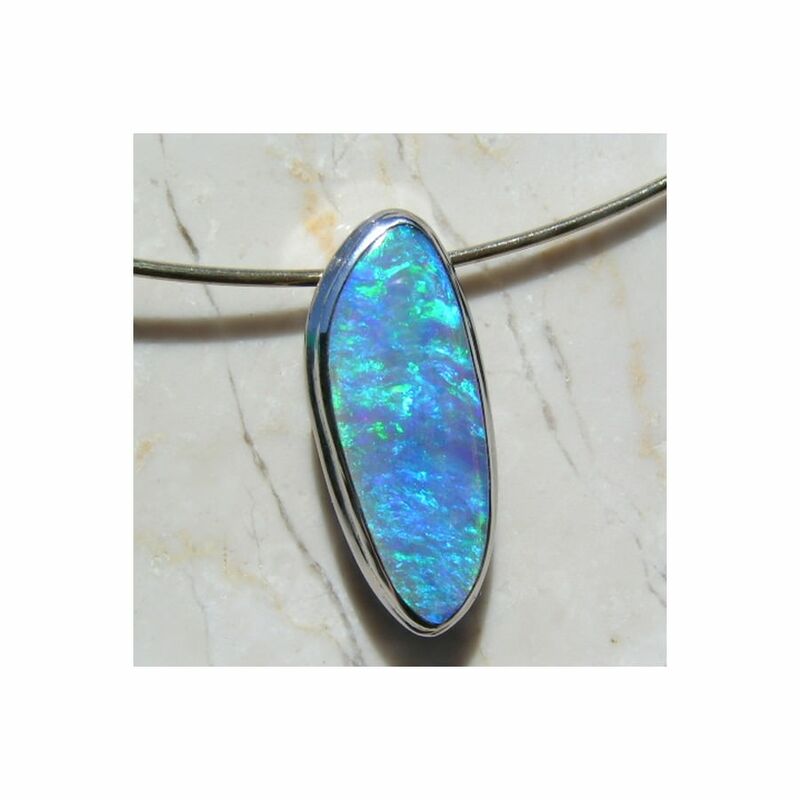 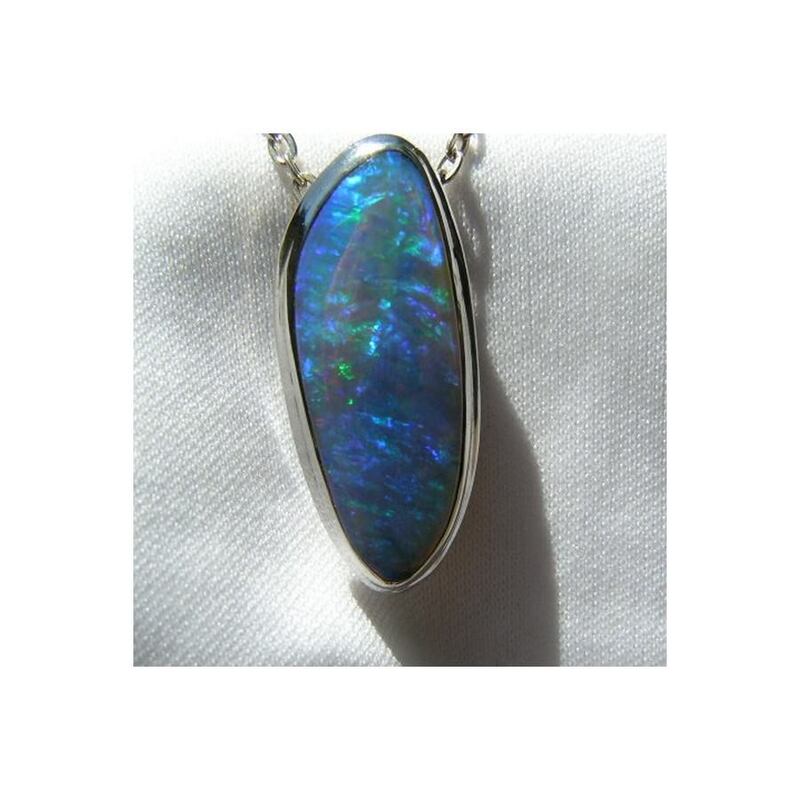 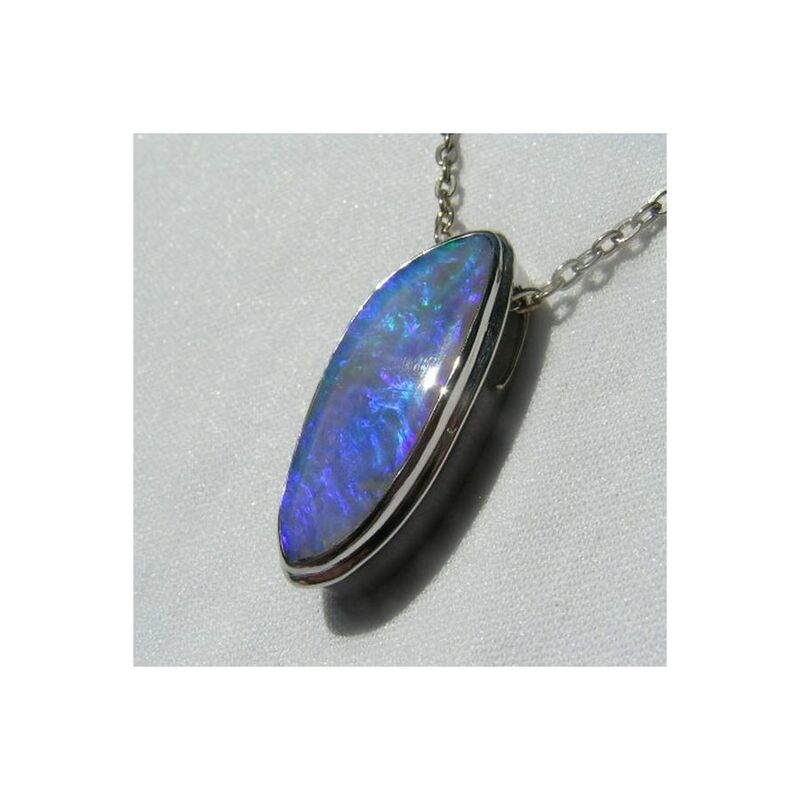 Blue Opals are stunning against White Gold and this Opal pendant is no exception. 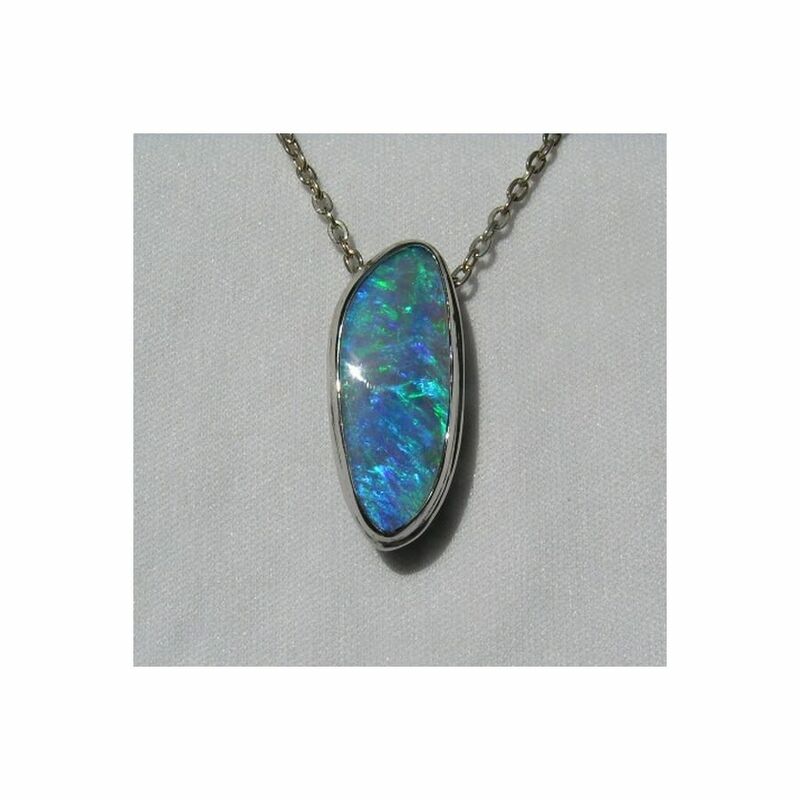 The Black Crystal Opal is long in a free form shape measuring just over one inch long with the 18k White Gold skillfully handcrafted around it. 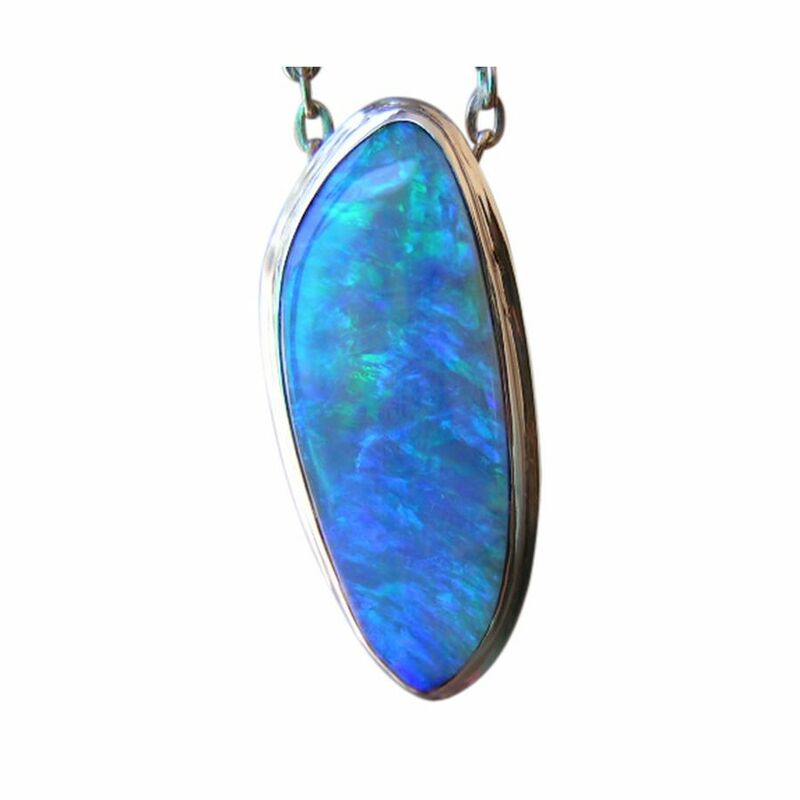 The Opal displays vibrant colors which stand out against the White Gold, so the pendant is aptly named 'Snowy Mountains'. 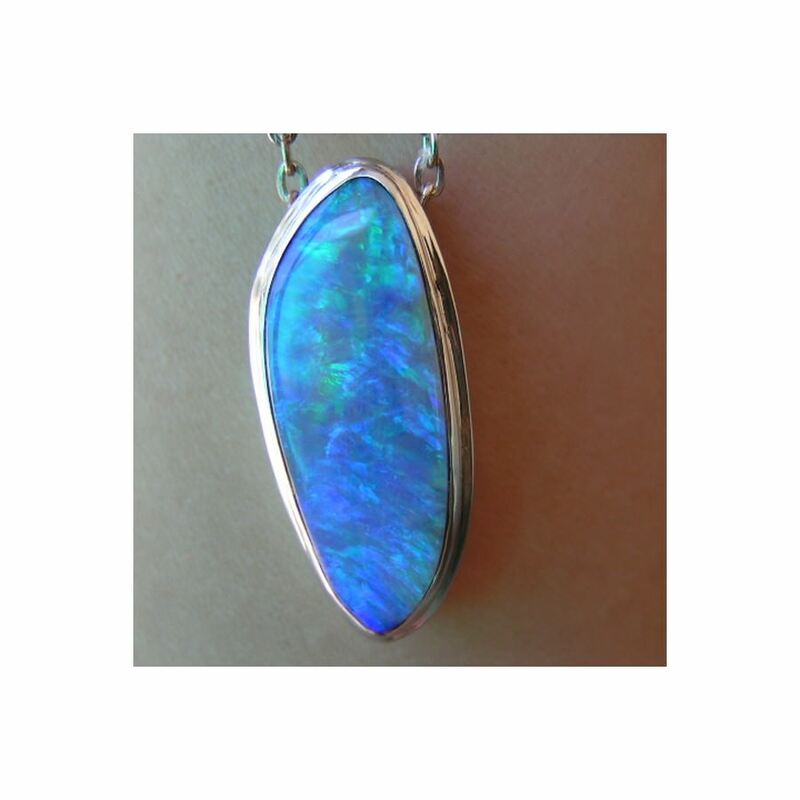 The Gold weight is substantial at 7.5 grams and with the large Opal, this pendant is sure to be admired when worn. 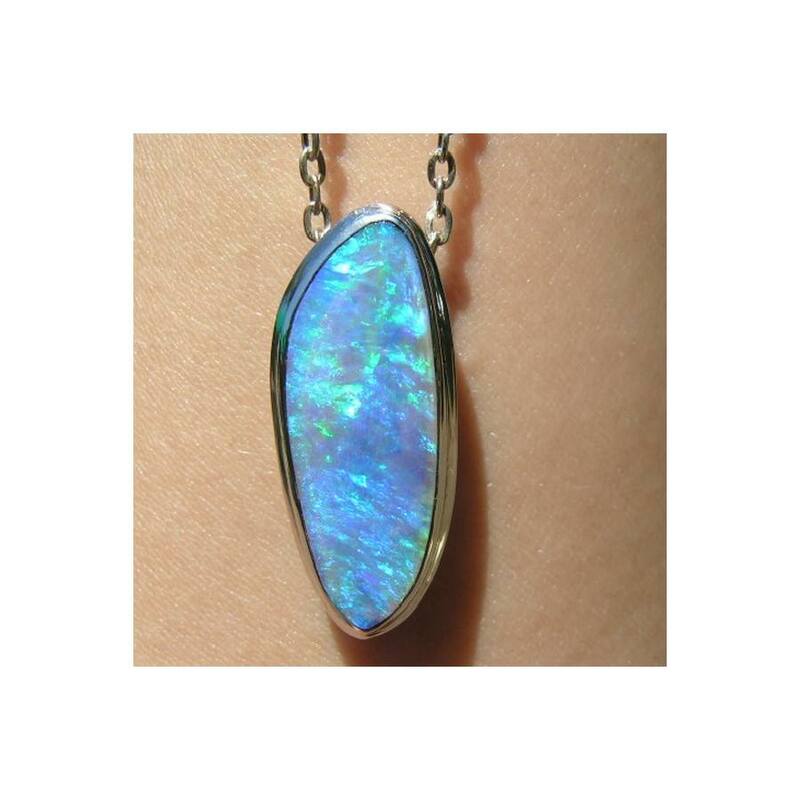 Please note a chain is not included.